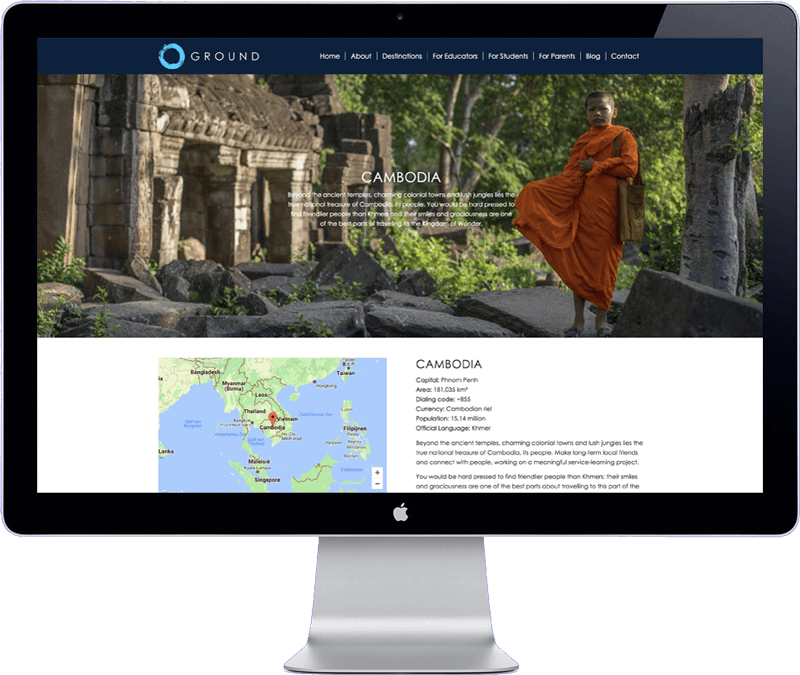 GROUND Asia create customized journeys in Southeast Asia for students and business teams that strengthen leadership skills, build resilience and teach cross-cultural understanding. Drawing on their many years of experience in countries such as Thailand, Laos, Indonesia Vietnam and Cambodia, they provide travelers with a safe and highly experiential service-learning program in and around local communities. Based on the needs of each community these programs typically involve community action projects, historical and cultural tours, and fun team-building exercises. The new website appeals to their target group with the help from lots of visual aids such as images, graphics and videos. It informs visitors about their itineraries, publishes company news in a blog format and has a newsletter sign up form. The website is easy to edit, optimized for search engines (SEO), is setup with an SSL certificate and has an advanced caching system. The website has been developed with WordPress.